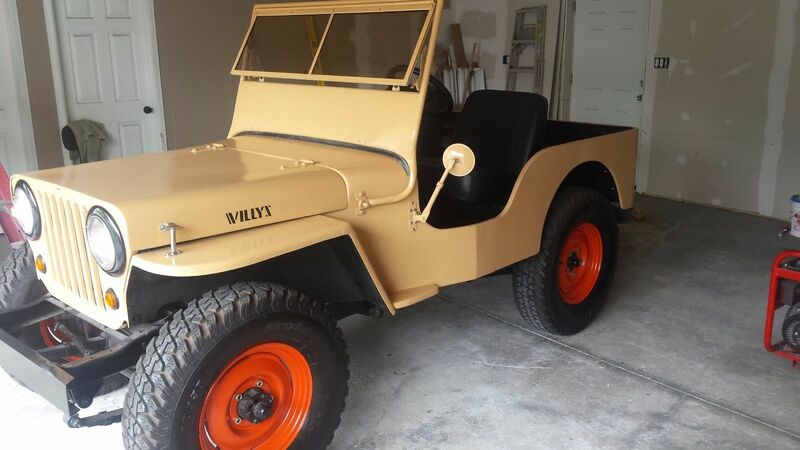 During the mid-century unpleasantness over on the continent, countless soldiers had the pleasure to ride/drive the Willys Jeep in supporting battle roles. It was a pretty basic automobile, but like a goat it could climb anything and was very reliable, so Willys sold a version to the public after the war. 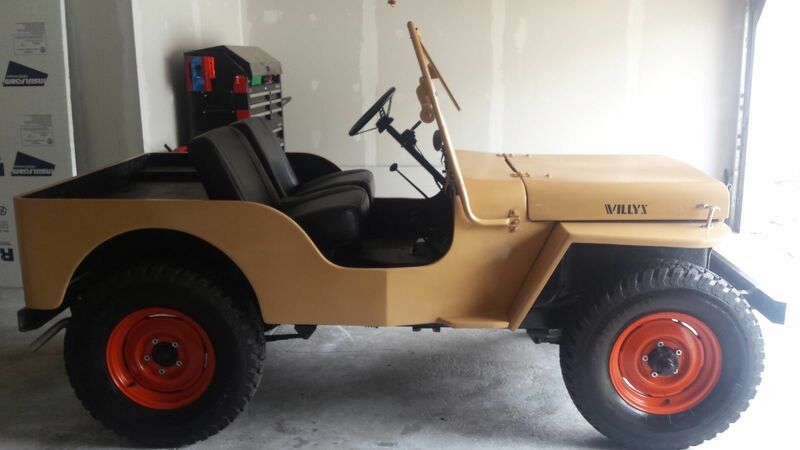 Find this 1945 Willys Jeep CJ-2A here on eBay bidding for $5,101 with a few hours to go, located in Mentor, OH. This post is part of DT's 2016 Birthday Celebration of 100 cars; enjoy the ride! With the war just ending, production of the '45 Jeep was limited to 1,824 units, so this beast is relatively rare, but production ramped up considerably for the people who needed something simple, open top, and Jeepy. The original 60 horsepower L-Head inline-4 is said to run well and idle smoothly.